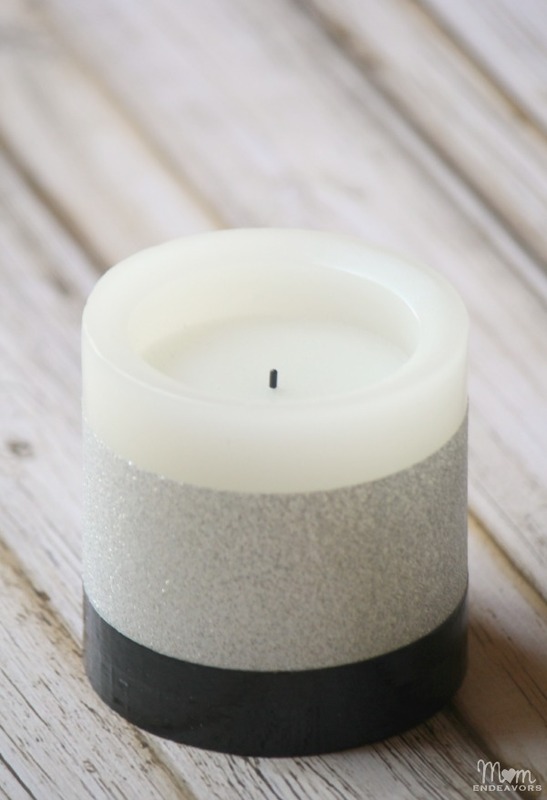 Glitter dipped projects seem to be really popular – mugs, jars, candles, vases, etc. But, we all know that glitter projects can get messy and be a bit time consuming (especially with drying time). 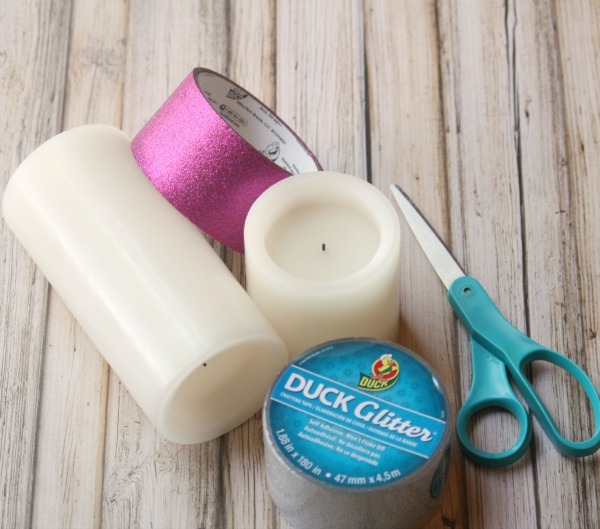 So, I'm SUPER excited about glitter Duck Tape®! 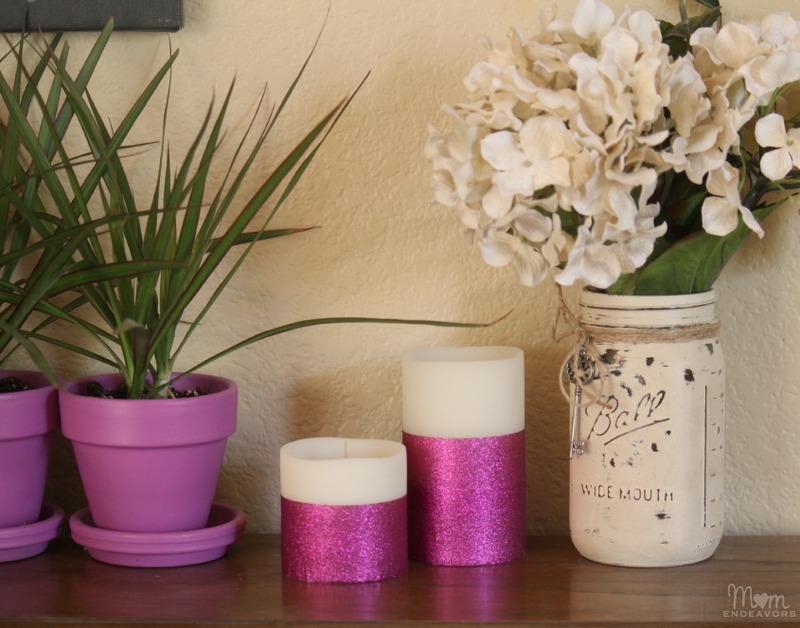 In less than 5 minutes, I had these awesome pink glitter dipped candles. No mess, no drying time. SUPER easy! They look great as part of a spring vignette or mantel! Seriously, this project could not be any easier. 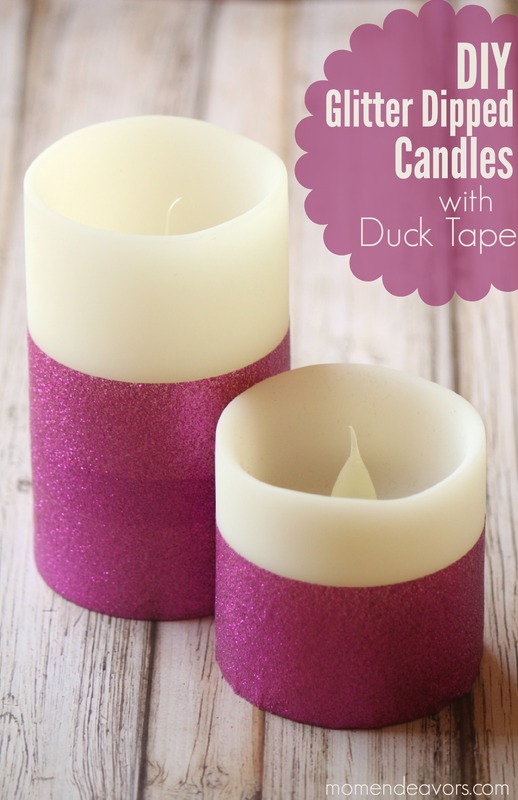 All you need are some pillar candles (preferably LED varieties) and glitter Duck Tape®! 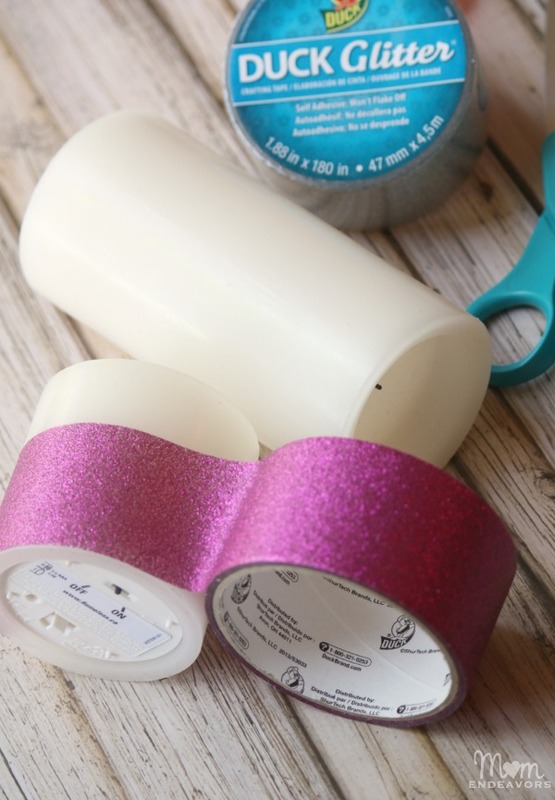 Just line up the tape with the bottom of the candle and wrap. Cut where needed and that's it! Some fun glittery "bling" with NO mess! For larger candles, you could do multiple strips. This might be the easiest DIY project ever! And, I love the results! Simple & clean with a fun pop of glittery, springtime color! Duck Tape® has a HUGE variety of colors and styles to choose from; so if this color isn't your thing, there are a lot of options. Here's just a small sampling of possibilities: And look at those little rolls! It's "duckling" tape! 😉 I like my bright spring colored candles so much that I decided to make one for our family room (which has a lot of black & silver). The process was nearly the same, except that I started with the glitter tape a little farther up. And, then, I added the small black tape around the bottom! Gotta love a quick (& mess free) crafty project! 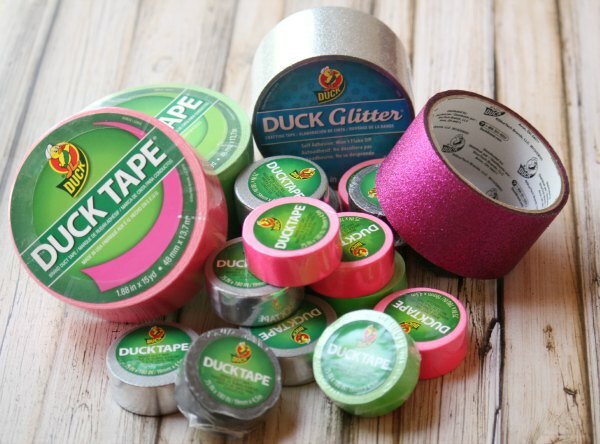 What would YOU make with this fun Duck Tape®? « Delicious Recipes for a Girls’ Night In!